Equinus is the primary mechanical cause of acquired non-traumatic foot and ankle pathology—plantar fasciitis, AT, and MSS—in running sports. 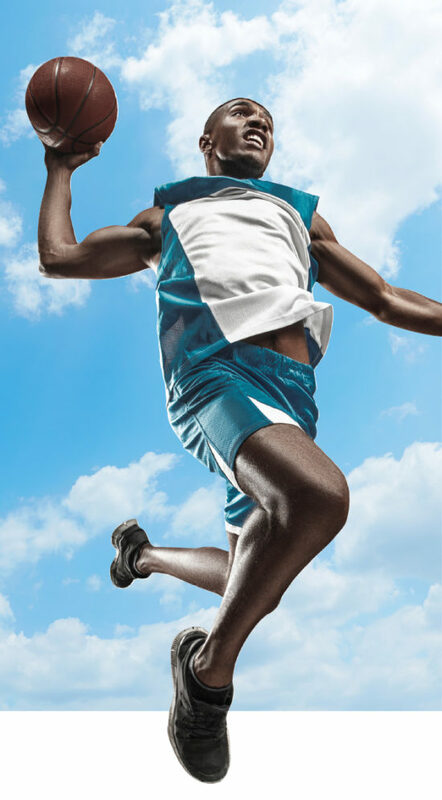 The three most common lower-extremity overuse injuries among those who participate in running-related sports such as basketball have all been linked to the same risk factor. If what the research suggests is true, treating this risk factor to prevent these injuries should be the standard of care, particularly for elite basketball players in the National Basketball Association (NBA) and Division I of the National Collegiate Athletic Association (NCAA). Athletic trainers and team physicians can reduce the risk of potentially devastating overuse injuries by applying a simple therapeutic measure. Therapeutic stretching to reduce injury among basketball players should be common practice. Plantar fasciitis has sidelined numerous professional and collegiate basketball players for extended periods of time. This disorder accounts for 5% to 11% of running injuries overall2-6 and 25% to 31% of foot injuries specifically.2-7 Given the similarities of movements involved in running and basketball, we can draw parallels between the two. Averaging the rates of plantar fasciitis in these two groups allows us to estimate a 10% to 15% incidence rate in basketball players. Daniel Riddle and colleagues also found limited ankle joint dorsiflexion and increased BMI to be risk factors for developing plantar fasciitis in the general population. They found that those with ankle joint dorsiflexion of ≤ 0 degree were 23.3 times more likely to develop plantar fasciitis than those with ankle joint dorsiflexion of ≥ 10 degrees, and those with a BMI of ≥ 30 kg/m2 were 5.6 times more likely to develop plantar fasciitis than those with a BMI of ≤ 25 kg/m2.17 They also found that those with an active lifestyle were 3.6 times more likely to develop plantar fasciitis than those with a more sedentary lifestyle.17 It’s important to keep in mind that athletes with high muscle mass may have a BMI that categorizes them as obese even though they are not. Figure. 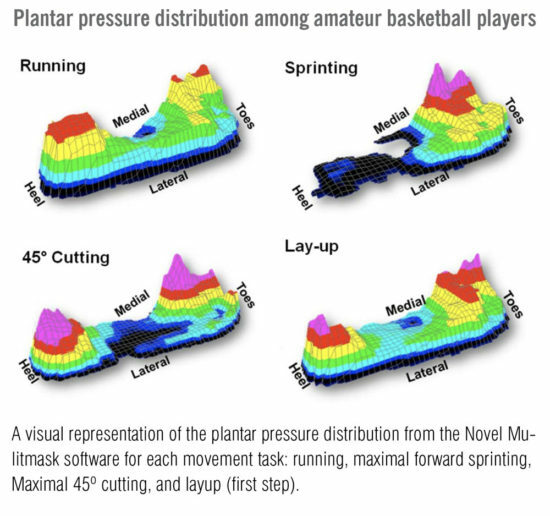 Kong et al created visual representations of the plantar pressure distribution using the Novel Mulitmask software for each movement task: running, maximal forward sprinting, maximal 45º cutting, and layup (first step). 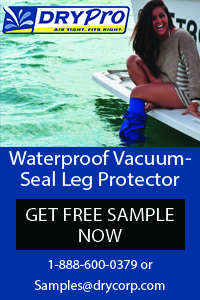 Used with permission of the Journal of the American Podiatric Medical Association. Kong PW et al. J Am Podiatr Med Assoc. 2018;108(3):215-224. The misunderstanding about the benefits of therapeutic stretching in the athlete results from confusion about stretching terminology. The goal of stretching muscles and tendons is to increase ROM, flexibility, and muscle control.27 Static stretching requires holding a stretch in a challenging but comfortable position for a set period of time; dynamic stretching requires a stretch be performed while moving through a challenging but comfortable ROM.28 Stretching can also be passive (using body weight, gravity, another person, or a device) or active (contraction of the muscle in opposition to the muscle a person is stretching).28 Warm-up stretching is done just before athletic participation, while therapeutic stretching is used to help people regain lost function due to diminished ROM and, in some cases, to alleviate pain.29 Many healthcare providers and athletic trainers believe that stretching reduces athletic explosiveness among basketball players, which is only partially correct. Stretching is an effective treatment for equinus. The evidence shows that equinus is the primary risk factor for plantar fasciitis, AT, and MSS in running-related sports. Healthcare professionals caring for elite basketball players with equinus should utilize chronic static therapeutic stretching regardless of symptomology to reduce the risk of running-related injuries. Dr. DeHeer is a Fellow of the American College of Foot and Ankle Surgeons, and a Diplomate of the American Board of Podiatric Surgery. He is also a team podiatrist for the Indiana Pacers and the Indiana Fever. Dr. DeHeer is in private practice with various offices in Indianapolis and is the founder of Step by Step Haiti. 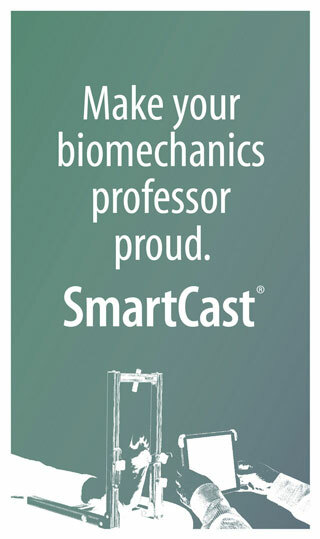 Disclosure: Dr. DeHeer reports that he is the inventor of The Equinus Brace™ and an owner of IQ Med. Amis J. The split-second effect: the mechanism of how equinus can damage the human foot and ankle. Front Surg. 2016;3:38. Lopes AD, Hespanhol Junior LC, Yeung SS, Costa, LO. What are the main running-related musculoskeletal injuries? A systematic review. Sports Med. 2012;42(10):891–905. Mohseni-Bandpei MA, Nakhaee M, Mousavi ME, et al. Application of ultrasound in the assessment of plantar fascia in patients with plantar fasciitis: a systematic review. Ultrasound Med Biol. 2014;40(8):1737–54. Taunton JE, Ryan MB, Clement DB, et al. A retrospective case-control analysis of 2002 running injuries. Br J Sports Med. 2002;36(2):95–101. Nielsen RO, Ronnow L, Rasmussen S, Lind M. A prospective study on time to recovery in 254 injured novice runners. PloS One. 2014;9(6):e99877. Hoffman MD, Krishnan E. Health and exercise-related medical issues among 1,212 ultramarathon runners: baseline findings from the Ultrarunners Longitudinal TRAcking (ULTRA) Study. PloS One. 2014;9(1):e83867. Di Caprio F, Buda R, Mosca M, et al. Foot and lower limb diseases in runners: assessment of risk factors. J Sports Sci Med. 2010;9(4):587–96. Patel A, DiGiovanni B. Association between plantar fasciitis and isolated contracture of the gastrocnemius. Foot Ankle Int. 2011;32(1):5–8. Nakale NT, Stydom A, Saragas MP, et al. Association between plantar fasciitis and isolated gastrocnemius tightness. Foot Ankle Int. 2018;39(3): 271–7. Cheung JTM, Zhang M, An KN. Effect of Achilles tendon loading on plantar fascia tension in the standing foot. Clin Biomech. 2006;21(2):194–03. Abbassian A, Kohls-Gatzoulis J, Solan MC. Proximal medial gastrocnemius release in the treatment of recalcitrant plantar fasciitis. Foot Ankle Int. 2012;33(1):14–9. Ficke B, Elattar O, Naranje SM, et al. Gastrocnemius recession for recalcitrant plantar fasciitis in overweight and obese patients. Foot Ankle Surg. 2017;epub June 17. Hoefnagels E, Weereheijm L, Louwerens JW, et al. Chronic therapy resistant plantar fasciitis, the effect of lengthening the gastrocnemius muscle. Foot Ankle Surg. 2016;22(2):58. Avila A, Monteagudo M, Martinez-Albornoz P, Maceira E. Medial gastrocnemius proximal release in chronic plantar fasciitis. Prospective study of 75 cases. Foot Ankle . 2016;22(2):24¬–25. Monteagudo M, Maceira E, Garcia-Virto V, Canosa R. Chronic plantar fasciitis: plantar fasciotomy versus gastrocnemius recession. Int Orthop. 2013;37(9):1845–50. McNamee MJ. 2016. Analysis of plantar fasciitis risk factors among intercollegiate and recreational runners: a matched case-control study (master’s thesis). Texas State University. Riddle DL, Pulisic M, Pidcoe P, Jonson RE. Risk factors for plantar fasciitis: a matched case-control study. J Bone Joint Surg Am. 2003;85(5):872–7. Sullivan J, Burns J, Adams R, et al. Musculoskeletal and activity-related factors associated with plantar heel pain. Foot Ankle Int. 2015;36(1):37–45. Becker J, James S, Wayner R, et al. Biomechanical factors associated with achilles tendinopathy and medial tibial stress syndrome in runners. Am J Sports Med. 2017;45(11):2614–21. Amis J. 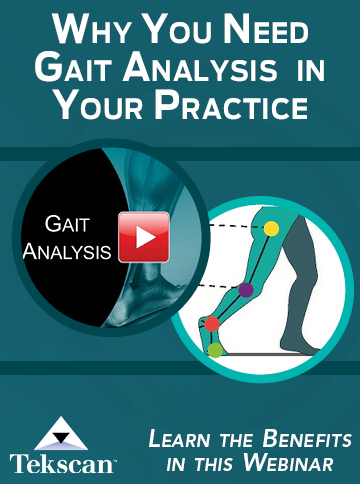 The gastrocnemius: a new paradigm for the human foot and ankle. Foot Ankle Clin. 2014;19(4):637–47. Malvankar S, Khan WS. Evolution of the Achilles tendon: The athlete’s Achilles heel? Foot. 2011;21(4):193–7. Järvinen TA, Kannus P, Maffulli, et al. Achilles tendon disorders: etiology and epidemiology. Foot Ankle Clin. 2005;10(2):255–66. Trofa DP, Miller JC, Jang ES, et al. Professional athletes return to play and performance after operative repair of an Achilles tendon rupture. Am J Sports Med. 2017;45(12):2864–71. Kirby KA. Equinus deformity: too many questions, not enough answers. Podiatry Today. 2017;30(12):58. Jarvis HL, Nester CJ, Bowden PD, et al. Challenging the foundations of the clinical model of foot function: further evidence that the root model assessments fail to appropriately classify foot function. J Foot Ankle Res. 2017;10(1):7. Johnson CH, Christensen JC. Biomechanics of the first ray part V: the effect of equinus deformity. J Foot Ankle Surg. 2005;44(2):114–20. Weerapong P; Hume PA, Kolt, GS. “Stretching: Mechanisms and Benefits for Sports Performance and Injury Prevention”. Phys Ther Rev. 2004;9(4):189–206. Blahnik J. Full body flexibility. 2nd ed. Champagne, Il:Human Kinetics; 2010. http://www.humankinetics.com/excerpts/excerpts/types-of-stretches. Lederman E. Therapeutic stretching. Towards a functional approach. London, England: Churchill Livingstone; 2013. Rubini EC, Costa AL, Gomes PS. The effects of stretching on strength performance. Sports Med. 2007;37(3):213–24. Stone M, Ramsey MW, Kinser AM, et al. Stretching: acute and chronic? The potential consequences. Strength Cond J. 2006;28(6):66. Medeiros DM, Martini TF. Chronic effect of different types of stretching on ankle dorsiflexion range of motion: systematic review and meta-analysis. Foot. 2018;Mar(34):28–35.